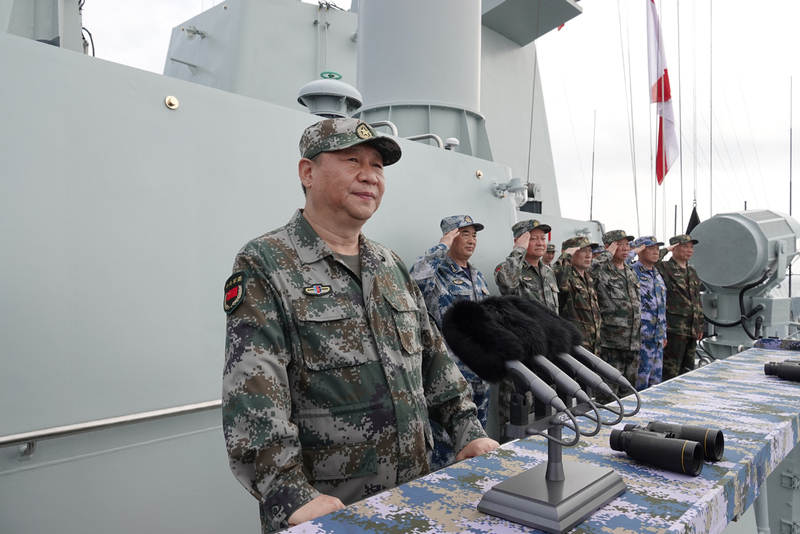 In what amounts to one of the strangest martial performances in the 2010s, on April 12 Chinese state media reported President Xi Jinping was aboard a destroyer while 48 ships and submarines of the PLAN’s Southern Fleet streamed by him, including the aircraft carrier Liaoning. Xi has made a habit of attending military demonstrations and last year saw him in the Zhurihe training ground for a parade commemorating the PLA’s 90th anniversary. Months later he visited the Central Military Commission (CMC) and inspected the army’s most advanced weapon systems and equipment. Xi’s message to the troops during these appearances is far from neutral and involves exhorting the PLA to rapidly modernize and prepare for a yet ill-defined conflict. Xi aboard a guided missile destroyer on April 12. Via China Military Online. 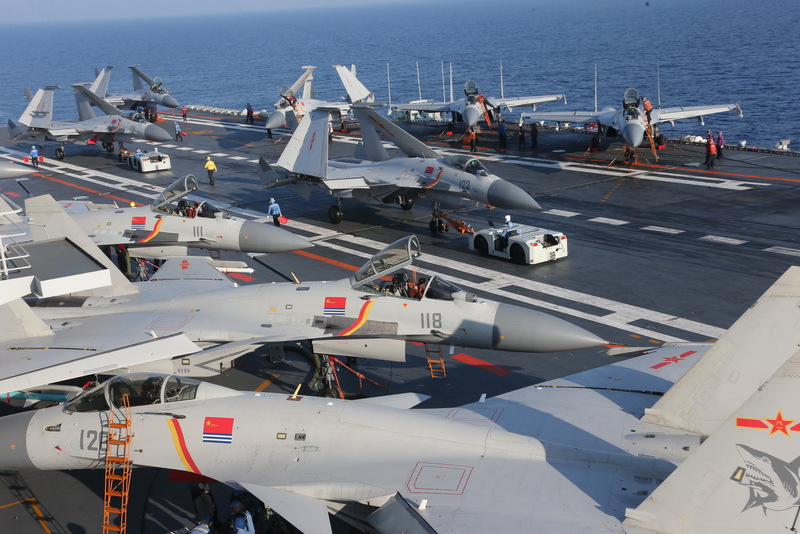 Described as an “unprecedented demonstration of the country’s naval prowess,” Chinese media revealed that 48 ships and 76 aircraft took part in the demonstration, which included J-15 multirole fighters taking off from the Liaoning’s flight deck. Two nuclear-powered submarines joined the event where at least half the ships in the parade were launched and commissioned from 2012 onward. What hasn’t been clarified since the April 12 parade was its connection to another PLAN demonstration in late March. This was captured by satellite imagery published by Reuters on March 27. Those photos showed a long convoy of ships trailing an aircraft formation in the waters off Hainan. It seems these were the same PLAN ships that later took part in the naval parade for President Xi. A week after the parade the PLA kicked off a 24 hour live fire exercise in the Taiwan Strait. 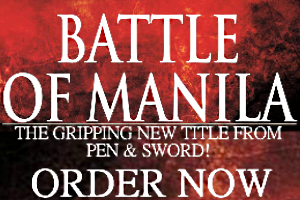 This is the latest blatant threat to the island state yet after months of small-scale exercises. 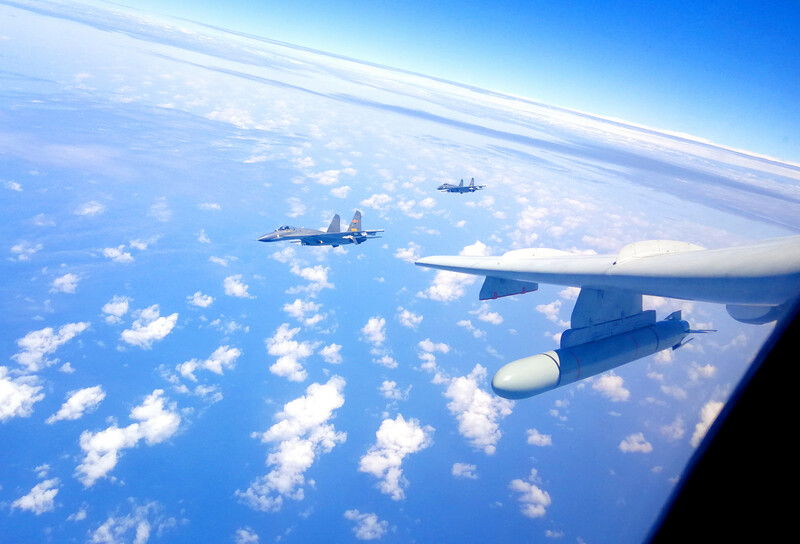 In March, for example, a dozen H-6K bombers flew over the Miyako Strait in what may or may not have been an attempt to practice encircling Taiwan. But the scale of the live fire exercises in April were never revealed and may only have involved an artillery unit. Chinese state media reported the exercises served as a warning to Taiwan, whose current leadership hasn’t made enough overtures toward reunification, and was further proof of the PLA’s expanding capabilities. But Taiwan Sentinel’s J. Michael Cole believes these displays won’t accomplish much in swaying the Taiwanese, who aren’t directly affected by the drills, and aren’t credible indicators of any genuine military action to come. Even less attention was paid to separate exercises held in the South China Sea involving the Chinese air force and navy. The Liaoning and its escorts spent days in the disputed waters and this could mean China’s only functioning aircraft carrier is now prepared for combat missions. Based on photos released by the PLA’s official news website at least two landing ships accompanied by escorts took part in exercises involving a mock deployment for an amphibious assault. The duration of these activities were never made clear although they may have stretched for an entire week, from April 16th until the 20th. 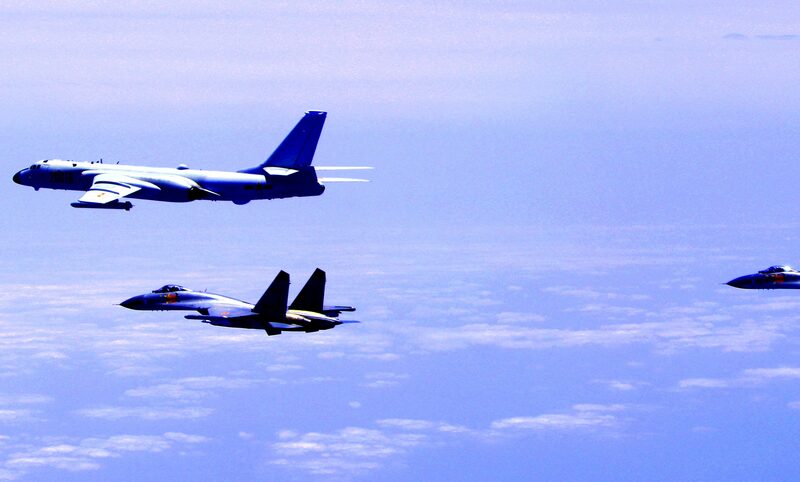 The PLAAF’s lethal H-6K bombers flew over the South China Sea on April 19. These flights were described as “a training exercise with an aim of improving the ability to safeguard national sovereignty and territorial integrity.” But photos from the exercise that took place over open sea revealed the H-6K’s deployed with payloads–air-launched cruise missiles on each wing. These looked like variants of the DH-10 cruise missile whose range is ideal for attacking island bases and infrastructure.